Grow in moderate light. 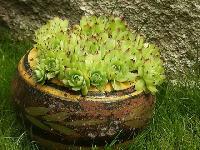 Pot in a 50 50 mix of coarse sand and potting mix. Allow soil to approach dryness before watering. Feed in spring and again in the fall with half strength house plant fertilizer. Propagate by offsets. 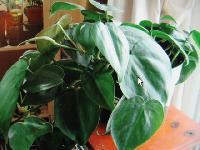 Climbing or hanging plant with dark green, 2 3inch heart shaped leaves. Tolerates low light and low humidity well. 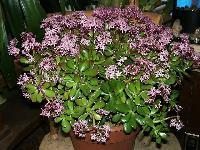 Prefers to be kept slightly root bound in rich, moist soil. Provide a bark type support for climbing. Hardy in zones 11 12. Forms six inch, ground hugging rosettes. 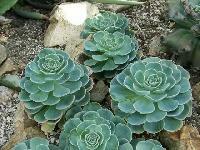 Plant in rich, sandy soil and give plenty of bright light every day. Prefers warm days(70 75degree) and cooler nights (50 60degree) Allow soil to dry before watering. Jade plants should be grown in very bright sunlight with low humidity and temperatures of 55degree nights and 75degree 80degree during the day. 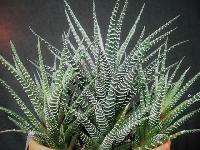 Plant in a 50 50 mix of potting soil and coarse sand with bone meal added. Allow to dry between waterings. Japanese Aralias are one of the easiest of all shade garden or house plants to grow and care for. 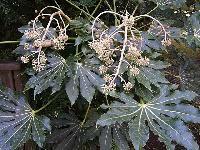 They have large dark green, palmate leaves and form tropical looking, evergreen shrubs that can grow up to 6 8 feet tall and 6 feet wide but can be limited to a height of 2 4 feet with pruning. 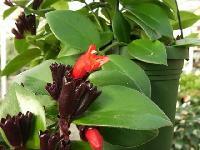 Lipstick Plants have thick, glossy, dark green leaves growing in pairs along their long, woody stems. Each vine is tipped with clusters of 2inch tubular, scarlet red flowers in mid summer. 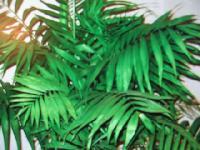 As house plants they are most often grown in hanging baskets but can to climb up a three foot totem as well. Orchids need 10 15 hours of bright indirect light each day. They require high humidity. 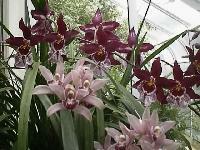 They need to be planted in special orchid potting mixes with excellent drainage. Water weekly with rainwater or tap water that has set for 24 48 hours. Slow growing but may become too tall for dish gardens (12 30inch). Should be grown in a warm (75degree 85degree) area with bright indirect light with high humidity (or misting). Keep soil evenly moist. Feed in spring and summer only. Hardy in zones 11 12. 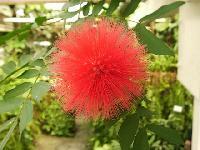 Calliandra haematocephala, commonly known as the Powder Puff Tree grow up to 10 feet tall with an equal spread, but dwarf, 3 6 foot varieties are also available, which are more appropriate in colder regions where you will need to over winter your plant indoors.